Lt Gen Ahmed Gaid Salah, Algeria’s army chief, has demanded that President Abdelaziz Bouteflika be declared unfit to rule in a televised broadcast. Salah said that the time had come to trigger a constitutional process to remove the ailing president from power. 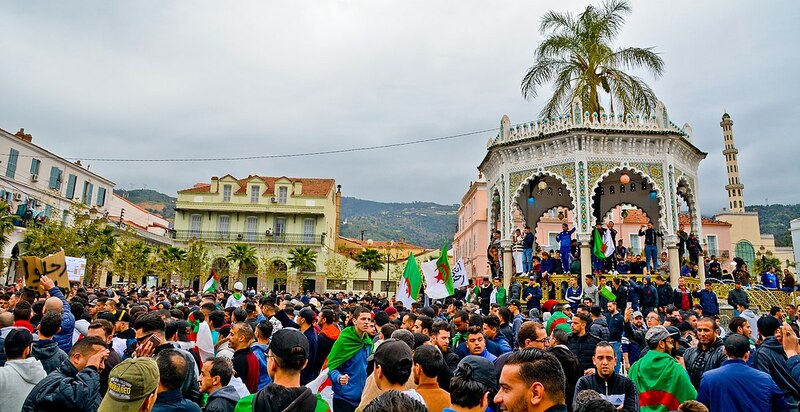 “It is necessary, even imperative, to adopt a solution to get out of this crisis that responds to the legitimate demands of the Algerian people, and which respects and adheres to the constitution and safeguards the sovereignty of the state,” Salah said. Under Article 102 of Algeria’s constitution, the constitutional council can declare the presidency vacant if the president is unable to carry out his duties, then ask parliament to declare him unfit to rule. The leader of Algeria's upper house then becomes acting president for 45 days. Bouteflika, 82, suffered a stroke in 2013 and has rarely been seen in public since. This call to trigger a constitutional process comes after weeks of protests against Bouteflika’s re-election bid. Bouteflika reversed his earlier decision to stand for a fifth term in elections but has postponed elections due in April, claiming that he will remain in power until a new constitution is adopted.